Jacques Lacan, one of the most influential and controversial French thinkers of the twentieth century, was a practicing and teaching psychoanalyst in Paris, but his revolutionary seminars on Freud reached out far beyond professional circles: they were enthusiastically attended by writers, artists, scientists, philosophers, and intellectuals from many disciplines. 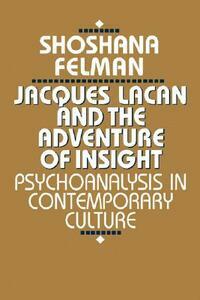 Shoshana Felman elucidates the power and originality of Lacan's work. She brilliantly analyzes Lacan's investigation of psychoanalysis not as dogma but as an ongoing self-critical process of discovery. By focusing on Lacan's singular way of making Freud's thought new again-and of thus enabling us to participate in the very moment of intellectual struggle and insight-Felman shows how this moment of illumination has become crucial to contemporary thinking and has redefined insight as such. This book is a groundbreaking statement not only on Lacan but on psychoanalysis in general. 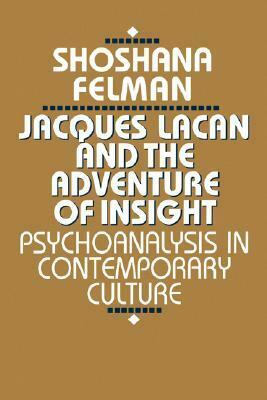 Felman argues that, contrary to popular opinion, Lacan's preoccupation is with psychoanalytic practice rather than with theory for its own sake. His true clinical originality consists not in the incidental innovations that separate his theory from other psychoanalytic schools, but in the insight he gives us into the structural foundations of what is common to the practice of all schools: the transference action and the psychoanalytic dialogue. In chapters on Poe's tale "The Purloined Letter"; Sophocles's Oedipus plays, a case report by Melanie Klein, and Freud's writings, Felman demonstrates Lacan's rediscovery of these texts as renewed and renewable intellectual adventures and as parables of the psychoanalytic encounter. The book explores these questions: How and why does psychoanalytic practice work? What accounts for clinical success? What did Freud learn from the literary Oedipus, and how does Freud text take us beyond Oedipus? How does psychoanalysis inform, and radically displace, our conception of what learning is and of what reading is? This book will be an intellectual event not only for clinicians and literary critics, but also for the broader audience of readers interested in contemporary thought.